Wondering what type of Pixar-themed fun is coming to Disneyland and Disney California Adventure this year? We were too. Let us know what else you are wondering. 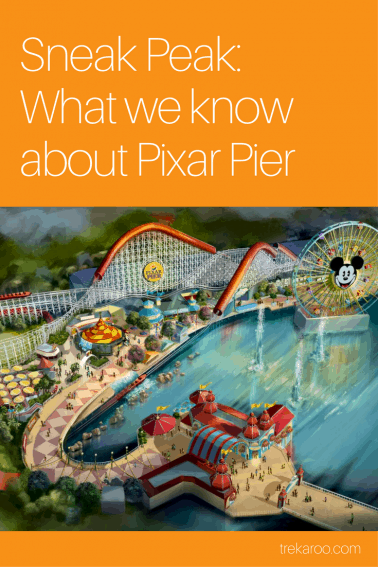 We’ll keep this article updated as we learn more about Pixar Fest and Pixar Pier. Disneyland and Disney California Adventure will celebrate its first ever Pixar Fest, a celebration of all things Pixar, starting April 13, 2018. Here’s what we know (and stay tuned, we will keep this updated). A new fireworks show will premiere for Pixar Fest, Together Forever – A Pixar Nighttime Spectacular. 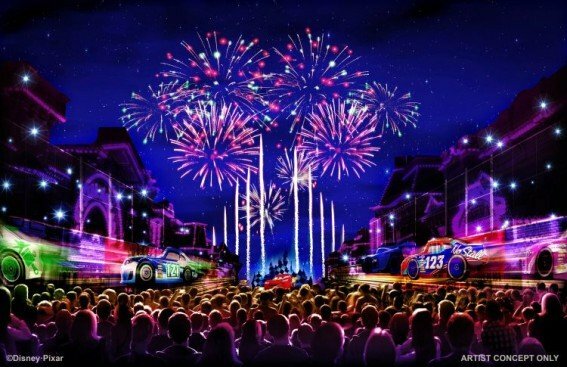 Renderings (shown above) showcase Main Street racing with Cars, indicating that this show will also utilize the amazing projection mapping used on the last few shows. Two popular parades will swap parks this spring during Pixar Fest. 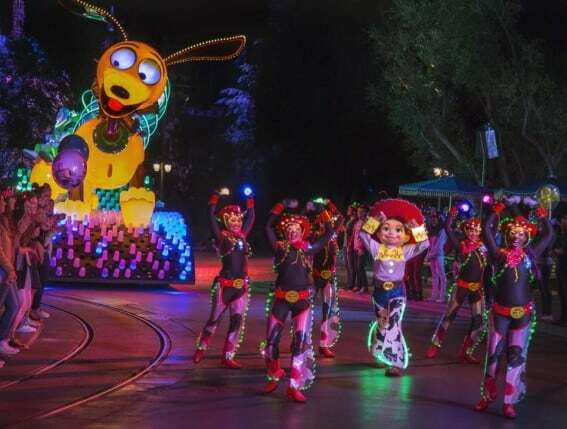 The Pixar Play Parade will take to the streets of Disneyland Park for the first time while Paint the Night heads to DCA. New features are being added to both parades, likely to showcase up-to-date Pixar favorites. The Sunset Showcase Theater in Hollywoodland will feature a limited run of Pixar shorts, on a rotating schedule throughout the festival. Paradise Gardens, also in Disney California Adventure, will feature live Pixar-entertainment, character meet and greets, and crafts for the kids. Pixar Fest will usher in a brand new selection of food, beverages & merchandise, all themed with your favorite Pixar pals in mind. 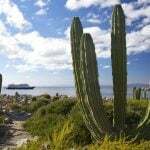 Pin this article, we will update you on all of these options when we know more details. 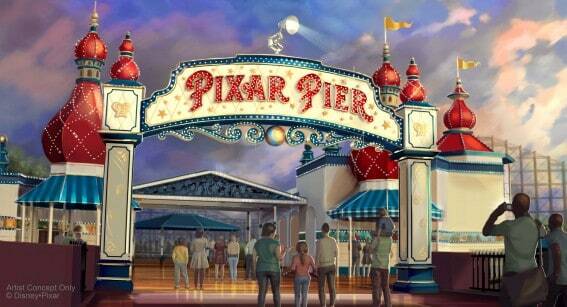 Pixar Pier: Opening June 23, 2018!! 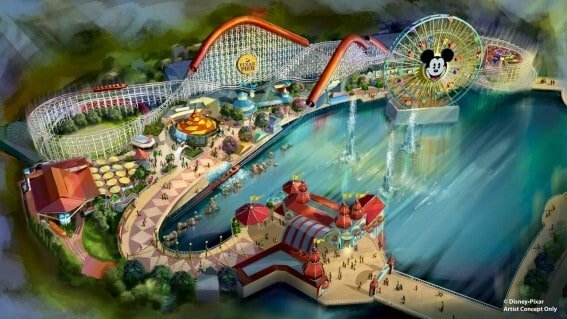 Disney California Adventure’s Paradise Pier will receive a complete update and remodel with the opening of Pixar Pier, coming summer 2018. 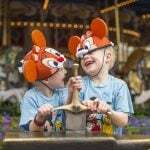 The area will feature four “neighborhoods,” all highlighting different Pixar themes. 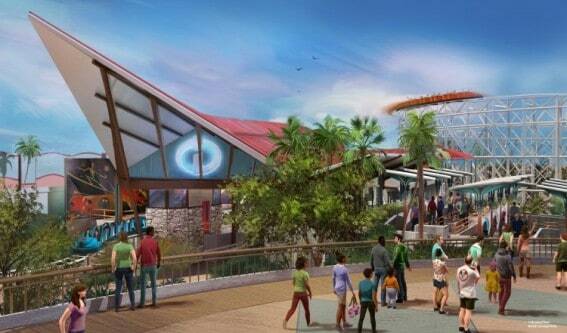 California Screamin’, the backdrop rollercoaster of Paradise Pier, will rebrand for this transformation as “The Incredicoaster,” dropping your family into an action-packed adventure to save baby Jack-Jack. The coaster track seems to be staying the same, although character figures, lighting, and special effects are being added to the ride, as well as a loading area inspired by the Parr family’s mid-century-modern-style home. Note: An Incredibles-themed parade float will join Paint the Night this June as well! We don’t know much about neighborhood two yet, although it will be themed “Toy Story” and will be developed around the already existing Toy Story Mania! attraction. We will keep you posted on King Triton’s Carousel, which sits adjacent to Toy Story Mania and across from California Screamin’. 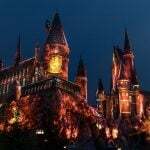 The ride is still operational, but there are only rumors on how it will be re-branded. Toy Story Mania! 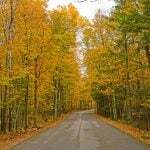 also remains open to park guests. We know even less about the third neighborhood, inspired by the recent Pixar film, “Inside Out.” Official releases say that this neighborhood will boast a new family-friendly attraction, but no details have been released. Although not confirmed, an image released by Disney Parks Blog of a working model of Pixar Pier shows what appears to be a performance area with stage in this section of the pier. Ariel’s Grotto & the Cove Bar- Both are closed for updating and transformation into a Pixar-themed lounge with Paradise Bay views. There is no word on if another character dining experience will be offered here or in another park location. Paradise Park – The north side of Paradise Pier will not undergo transformation. This includes Paradise Gardens restaurant area, the Silly Symphony Swings, Jumping Jellyfish, Goofy’s Sky School, the Golden Zephyr, and The Little Mermaid – Ariel’s Undersea Adventure. 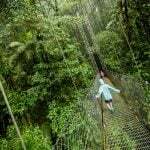 The land will be called Paradise Park after Pixar Pier opens this summer. In addition to the changes coming to the parks, here is a roundup of all the great Pixar-themed rides and attractions in the parks.